This 1 light landscape die cast brass path light is the perfect addition to any yard. The solid brass construction, and weather proof seal makes it ideal for all outdoor applications. This contemporary styled fixture with a lifetime warranty is just what you've been looking for. Automatic on-at-dusk. 3.5" (89mm) diameter, Polished, cast aluminum body. 5/8" (16mm) installed height. Installs in easily with NO wires. Perfect for walkways and landings. Outdoor LED lighting rectangular bollard fixture with modern details. The bollard has a graphite grey finish that will compliment any dicor. Perfect for any outdoor settings. Outdoor LED lighting minimalist rounded bollard fixture with modern details. The bollard has a graphite grey finish that will compliment any dicor. Perfect for any outdoor settings. 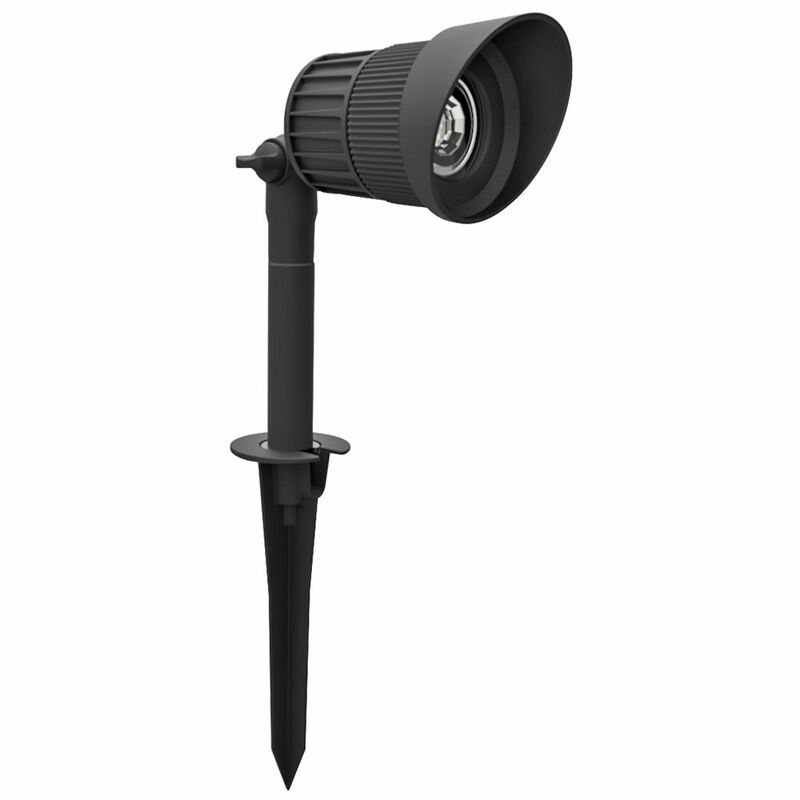 Deluxe 7W 400 Lumens LED Junior Spot Light is rated 2.3 out of 5 by 3. Rated 1 out of 5 by Cleo B from Disappointing Like "inthedark" this spot light didn't even last a year. Purchased end of August 2017 and it didn't even last eleven months. Don't know exactly when it went out but I noticed last night it wasn't on. I have older malibu lights that are still going strong after 17 years. Hampton Bay, not. Rated 1 out of 5 by InTheDarkNow from Burnt Out in one year We installed a complete Hampton Bay landscape lighting system in our front yard. One by one, theses lights have been dying. Now up to four units are kaput. Really frustrating. Rated 5 out of 5 by DavidM from Perfect intensity We installed two of these lights in our back yard to highlight water features. We had tried the Senior spot light and found the dispersal pattern to be too wide. These smaller units highlight without overwhelming. The light quality is so much better than what you get from solar options. Installation was simple and quick. They do require a transformer, but it too is super easy to program and install. I broke the stake that holds the spot light up. Are spare parts available? I bought some of these last year and want to add some to my lighting system. Want to make sure the light color is the same - I am looking for warm white (about 3000k). Will these be the same?